Too young to fight in the First World War, but destined to lead the first successful expedition to another star system, the (literally) immortal Lazarus Long is the most popular and enduring character created by Robert A. Heinlein, author of numerous New York Times best sellers. 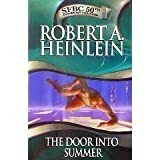 He starred in Heinlein's most popular novels, including Methuselah's Children, Time Enough For Love, The Number Of The Beast, To Sail Beyond The Sunset and others. The oldest living member of the human race due to his unique genes, Long has been a pioneer on eight planets, survived wars and lynch mobs, and explored most of the galaxy. His adventures have given him a breadth of experience distilled through the irony of an immortal viewpoint. But there is nothing pompous about Long's reflections on the human condition. As the noted editor and critic David G. Hartwell has observed, "Lazarus" comments are acute, lively and intelligent." And here they are, compiled in one beautifully designed trade paperback, filled with illuminations and illustrations by renowned Science Fiction artist Stephen Hickman, for the delight of the millions of Heinlein fans around the world. Classic Heinlein which means a story with a sociological critique. But it\'s also a pretty damn exciting story about heroism and war. Maybe not Heinlein\'s \"best\" work (Moon is a Harsh Mistress), but it\'s one of his most exciting.